Paul Gauguin Cruises, operator of the highest-rated and longest continually sailing luxury cruise ship in the South Pacific, the m/s Paul Gauguin, and the 88-guest m/v Tere Moana, debuts its 2015 Tahiti, French Polynesia, Fiji & the South Pacific brochure. The 68-page brochure showcases a variety of dream cruises in exotic destinations aboard The Gauguin and can be viewed online. 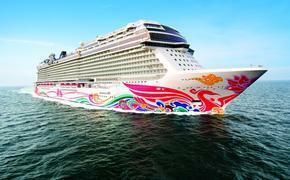 Itineraries, cruise schedules, maps, highlights, and fares are detailed. Fleet distinctions, dining venues, entertainment options, special occasions, activities, shore excursions, pre- and post-cruise hotel programs, the air/sea program, deck plans, and general information are also highlighted. The Gauguin's 2015 sailings feature its most popular voyages and showcase a host of exquisite islands with white-sand beaches, aqua lagoons, mist-laden mountains, and warm Polynesian culture. Itineraries include: seven-night Tahiti & the Society Islands; 10-night Society Islands & Tuamotus; 11-night Cook Islands & Society Islands; 14-night Marquesas, Tuamotus & Society Islands; and 12- and 13-night Fiji, Tonga, Cook & Society Islands. New for 2015 is a 10-night Roundtrip Fiji voyage that visits Lautoka, Viti Levu, Fiji; lle des Pins, New Caledonia; Noumea, New Caledonia; IIe de Lifou, New Caledonia; Tanna Island, Vanuatu; Port Vila, Vanuatu; Suva, Viti Levu, Fiji; and Lautoka, Viti Levu, Fiji, departing Oct. 31, 2015, with cruise fares from $5,445 per person, including airfare from Los Angeles. Designed specifically to sail the pristine lagoons of these islands, The Gauguin provides an up-close, authentic experience of the South Seas and offers an elegant yet casual ambiance with luxurious accommodations, gourmet dining, trademark Polynesian hospitality, and extraordinary all-inclusive value. On sailings in Tahiti and French Polynesia, guests also receive complimentary access to Paul Gauguin Cruises' two exclusive retreats. Off the coast of Taha'a lies the islet of Motu Mahana for enjoying a day of watersports, Polynesian activities, a sumptuous barbecue feast, and cocktails from a floating bar. In Bora Bora, guests can relax on a private, white-sand beach and enjoy drinks, a game of volleyball, and snorkeling in crystal-clear waters. As a result of providing exceptional cruise experiences to its guests, Paul Gauguin Cruises was voted "Top Small-Ship Cruise Line" and "Top Small-Ship Cruise Line for Families" in Travel + Leisure's 2014 "World's Best Awards." Paul Gauguin Cruises is currently offering savings of 50% off standard all-inclusive cruise fares on all 2015 voyages, plus included airfare from Los Angeles on itineraries on The Gauguin. Past guests of Paul Gauguin Cruises enjoy additional savings of 5% off final cruise fares as a member of the Paul Gauguin Society. 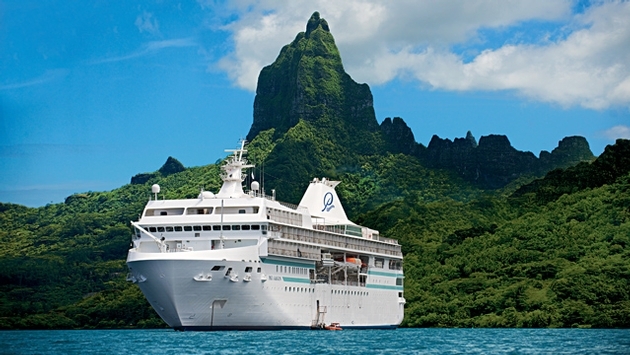 For a complimentary copy of the 2015 Tahiti, French Polynesia, Fiji & the South Pacific, please contact a Travel Professional, call 800-848-6172, or visit www.pgcruises.com.